Fire up your athletic performance with Flex6. 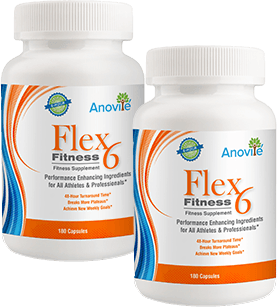 Flex6 can help overcome muscle aches and pains, particularly in older adults. It can be an effective agent to slow the loss of lean muscle mass, which can increase the occurrence of osteoporosis. Enjoy those workout and make those muscles happy with Flex6! 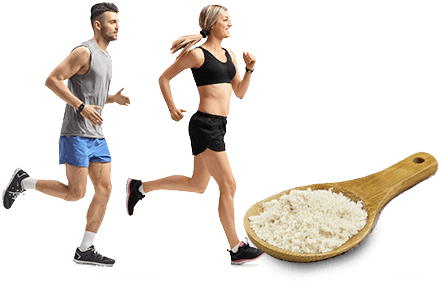 Flex6 is a powerful athletic formula based around Colostrum and contains all 87 natural growth factors (including naturally occurring, non-synthetic IGF-1 and GH). It is one of the most powerful lean muscle-building, performance and endurance-enhancing supplements available on the market today. Flex6 helps improve your performance, increase your workout pump, increase your endurance, build lean muscle mass and aid in enhanced recovery! Flex6 was developed to enhance physical performance during your workouts or for athletic performance. General Dosage: Six (6) capsules spread throughout the day. Advanced Dosage: Take four (4) capsules just before your workout and four (4) capsules right as you walk out of the gym! Our colostrum contains 2300ng/g of natural IGF-1 per serving. World class athletes, like Olympian Winthrop Graham, have used it to increase endurance, strength and to improve recovery time. For increased protein synthesis and enhanced nitrogen retention for prolonged pump and increased strength gains. Helps transport nutrients away from fat and uses them for the building of lean muscle. Frees testosterone for muscle development. Shown to clinically increase muscle strength, increase muscle power and increase free testosterone levels.